Tomatoes, fresh mozzarella and basil–from three ingredients, six cooks can invent six thousand recipes. My kitchen counter held a huge inviting garden tomato, and a fresh mozzarella ball waited patiently in the fridge, so I jumped on the caprese bandwagon with these caprese veggie patties with basil arugula pesto. If the tomatoes are red, your dish shows the colors of Italy’s flag. 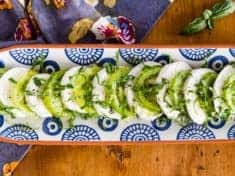 If your ripe and ready tomatoes are green, you’ll want to make Green Zebra tomato caprese salad! “Caprese” means in the style of Capri Italy, which for bloggers and chefs, any variation is game. Barbara at barbarabakes.com posted Caprese Panini last week. Heidi at foodiecrush.com writes more about the “summertime C word.” I’d just made a batch of arugula and basil pesto with our farm share loot. 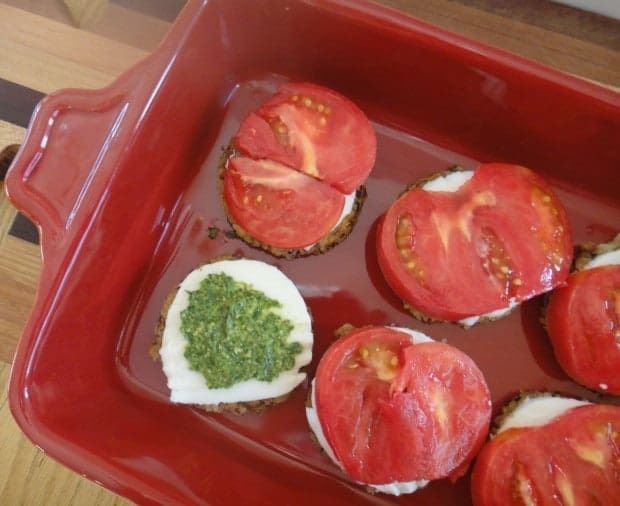 I had leftover quinoa and rice pilaf, which was perfect for veggie burger caprese twist. Tomatoes. 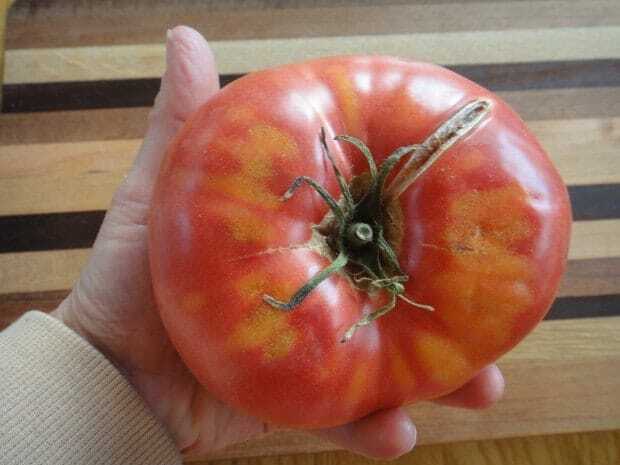 Use the best you can find—right from summer’s garden, or the farmer’s market. Fresh mozzarella. The most extravagant and luscious would be burrata, though any fresh mozzarella cheese will do. Basil. 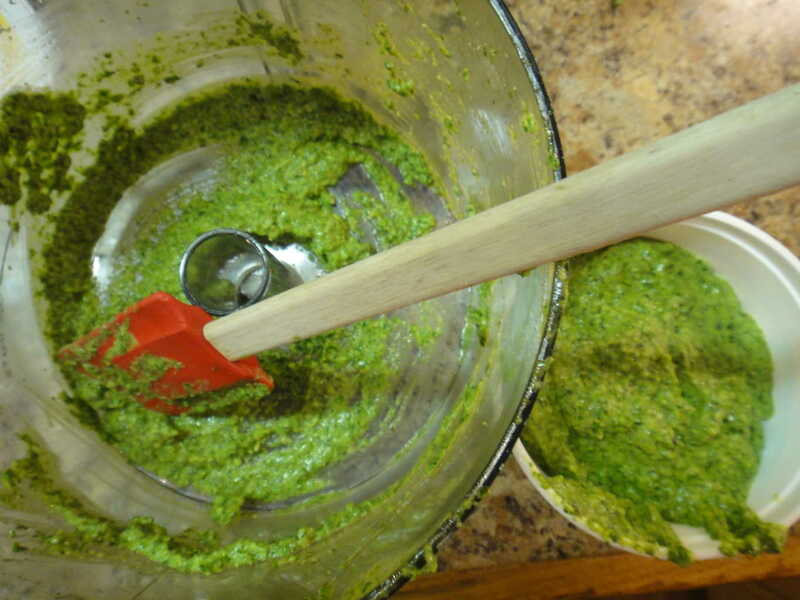 Make your own basil walnut pesto or buy it. 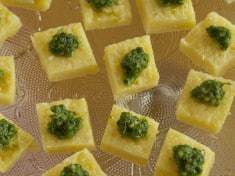 Homemade pesto is best and you will love the spicy bite arugula brings to the table. These are delicious. 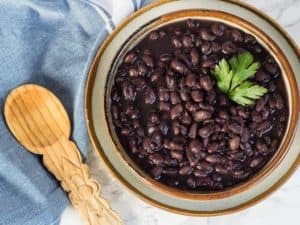 Makes 6 or 7 servings. Robbie snatched one right out of the skillet, so I had six left for the stacking for the photo. Toast the bread well. Let it cool at least 10 minutes. 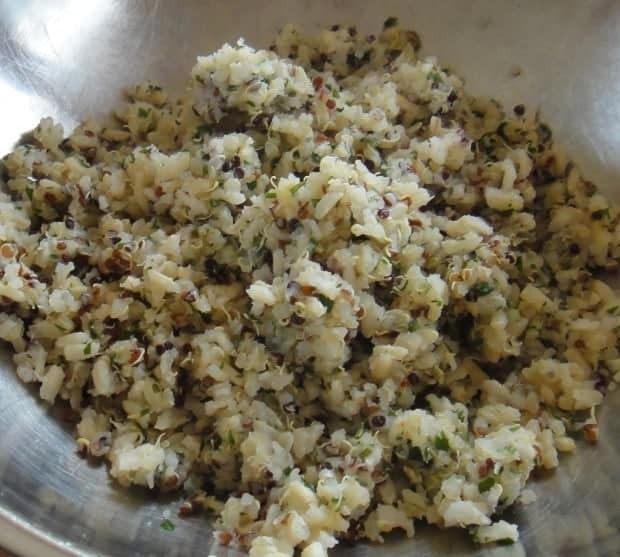 Using a food processor, grind the bread into crumbs. 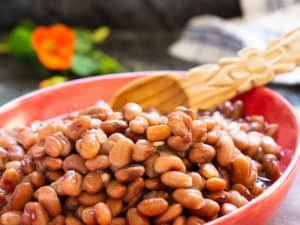 Mix in a bowl along with the pilaf and eggs. Season with salt if you decide it needs some. Heat a tablespoon of so of oil in a large skillet over medium flame. Form the rice mixture into seven patties using a 3-inch round cutter. Cook the patties until golden on both sides, about 10 minutes each side. Transfer to a serving dish. 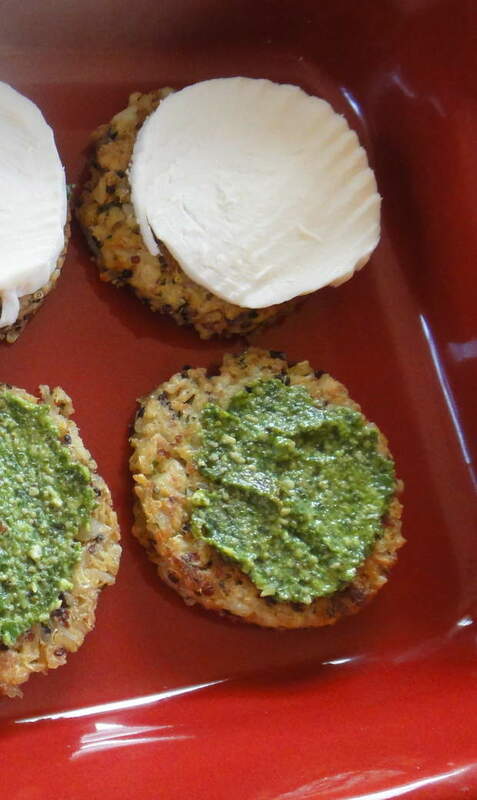 Preheat oven to 350° F. Spread a small dollop of pesto on each pattie. 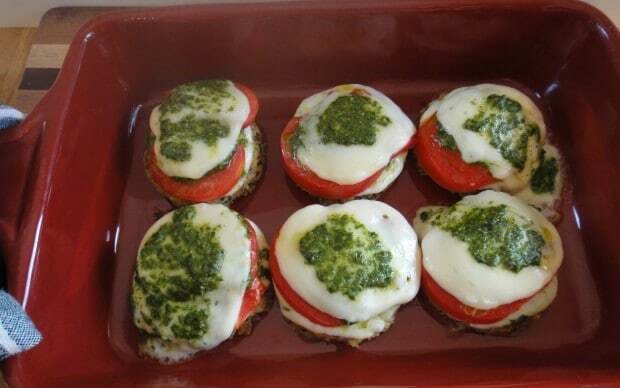 Top with a slice of mozzarella, another dollop of pesto, followed by a slice of fresh tomato. Repeat: Pesto, mozzarella, pesto, tomato, pesto, mozzarella. Spread a final bit of pesto on the white mozzarella. Bake 20 to 30 minutes, until the cheese melts nicely and the patties are heated through.